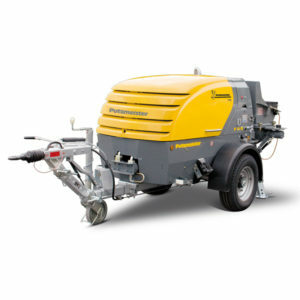 The P715 and P718 compact concrete pumping machines suitable for building / constructions sites – for floor screeding and fine concrete pumping with a grain size of up to 32mm. 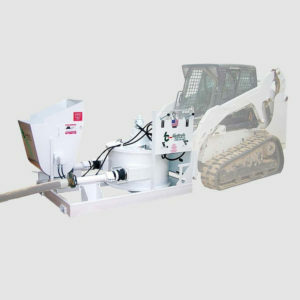 P175 The P715 is a modern piston pump which is extremely well suited to working on construction sites. 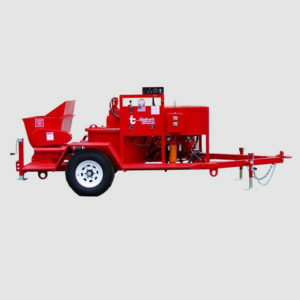 It can be used wherever screw pumps or small piston pumps are too weak and wherever large concrete pumps are too inefficient and expensive. 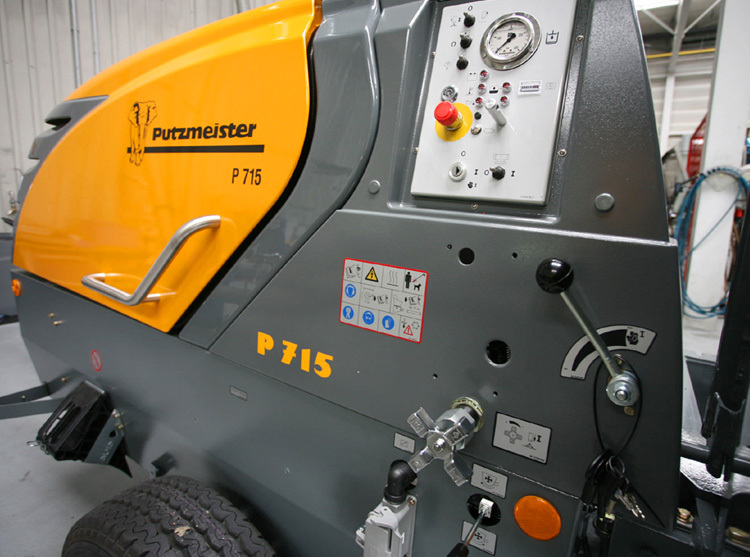 P178 The powerful and compact concrete piston pump P718 from Putzmeister Mörtelmaschinen GmbH represented the top of our fine concrete pump range. The P718 combines all the benefits of its little sister, the P715. 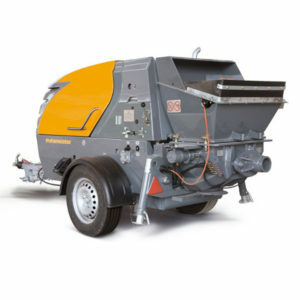 Besides the application pumping of self levelling floor screed the P718 is suitable for pumping fine concrete with a grain size of up to 32 mm.